"War does not determine who is right, only who is left." whose fathers were killed on opposite sides of the Vietnam/American War. award-winning documentary film on PBS stations across the U.S.
Now we want to help other sons and daughters make that important connection. There are many from the Vietnam/American War alone: an estimated 20,000 in the U.S.
we'd like to help them connect with the other side, too. fathers died fighting on opposite sides of the Vietnam/American War, found common ground in their life stories and professions. Both are educators. The 2 Sides Project documentary follows the unforgettable journey of six Americans who lost fathers in the Vietnam War as they bridge the cultural, geographical and emotional divide between themselves and Vietnamese sons and daughters whose fathers died fighting for the opposite side. 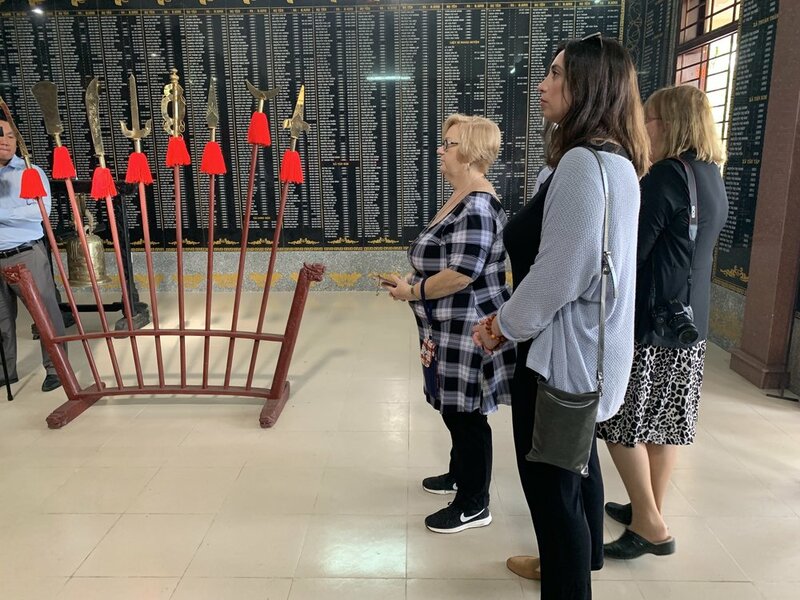 Honoring Vietnamese war martyrs at the Can Giuoc Cemetery outside of Ho Chi Minh City. 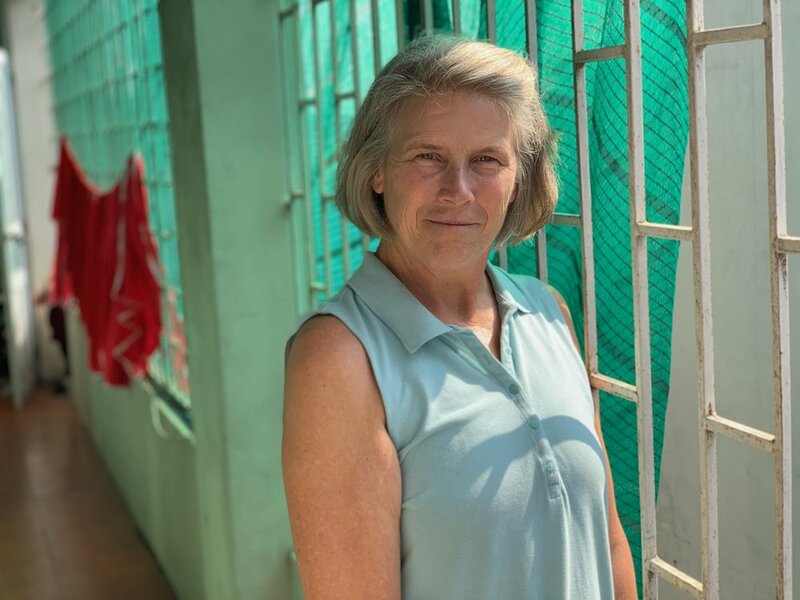 Bonnie Brumet, daughter of USAF Captain Robert N Brumet (killed in action on April 9, 1964), was one of seven sisters on the most recent 2 Sides Project trip to Vietnam. 2 Sides Project Founder Margot Carlson Delogne talks about her life experiences and The 2 Sides Project documentary on WSRE’s Conversations with Jeff Weeks.